Infinity Engine fans, get ready! Obsidian Entertainment has delivered the first substantial gameplay update to Pillars of Eternity in quite some time, and there is no getting around it. This game is ancient, old, and a relic before it has even been released. But that's okay. That's the point. 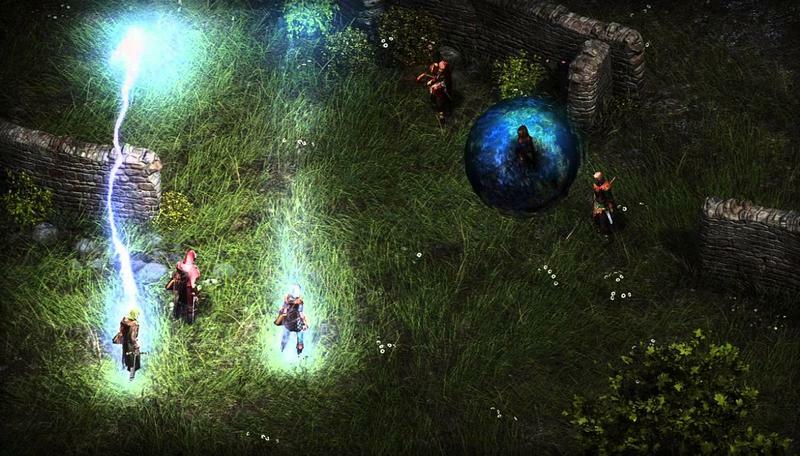 Pillars of Eternity was sold to Kickstarter followers as being a spiritual successor to classic PC RPGs like Baldur's Gate and Planescape Tourment, and this selling point scored it a reward of $3.8 million, a record setting success at the time. Not only has Obsidian built the graphic engine from the ground up, but it created an entirely new fantasy world that's home to six playable races and eleven different character classes. Characters look great from the overhead gameplay as they blast into combat with detailed monster and creature models. Dragons, orcs, zombies, marauders and enemies of all kind plague the wilderness of this fantasy world, and you and your six companions will be trading blood splatters with every one of them. If it were a living, breathing being, the Infinity Engine would be proud to see how its legacy is respected by mostly the same people who helped it flourish at the turn of the millennium. Sadly, I was not on the Kickstarter bandwagon when Pillars of Eternity was making the rounds, so I don't have a copy waiting for me. I'll have to pick it up separately, which from what I've seen, I'll be more than happy to do.